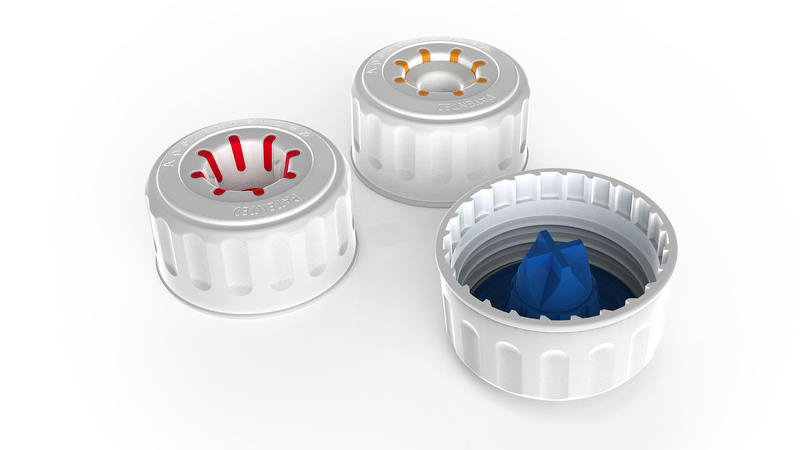 The irremovable dispensing container cap combination provides the consumer with the confidence that the chemicals purchased are being utilised in the correct and controlled way. Being able to unscrew or remove a cap closure from a container does not provide for this. 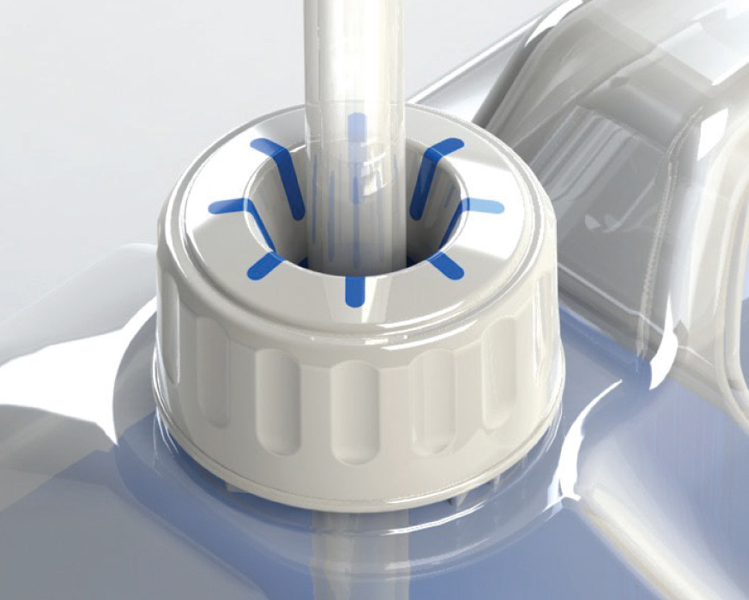 The unique one-way valve and pre-use seal safeguards the chemical contents within the container, preventing many conventional waste problems, ensuring safety in transportation and storage. 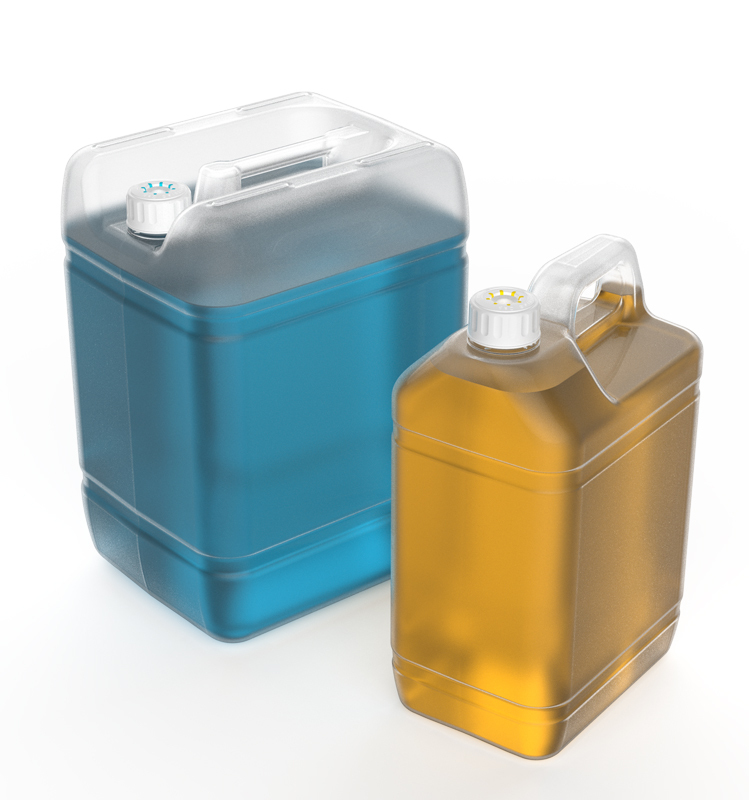 The SanServ® 5L / 10L Jerry Can Dispensing Container system incorporating the 38mm Irremovable Cap provides a simple, safe and secure solution to the dispensing of chemicals. 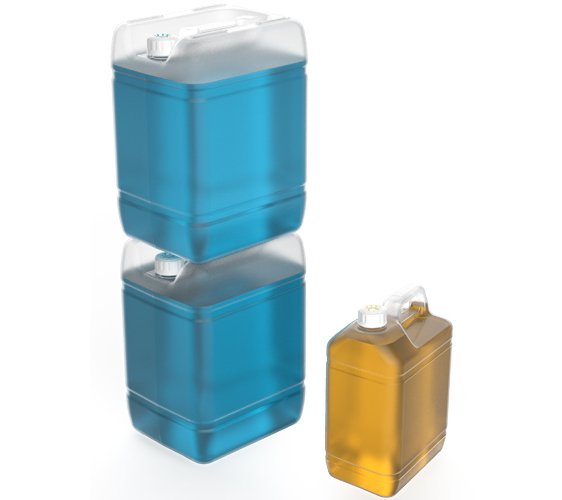 Manufactured Jerry Can Containers are designed to pour their liquid contents from within and are not suitably designed for controlled dispensing devices, allowing for unrestricted dispensing methods. 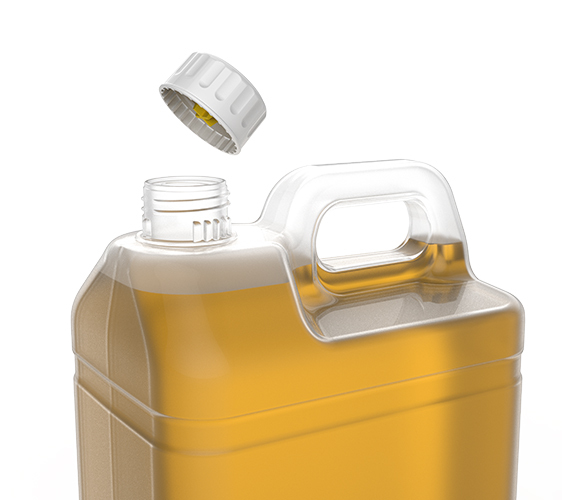 The SanServ® Jerry Can and 38mm Irremovable Container Cap combination solves this problem. 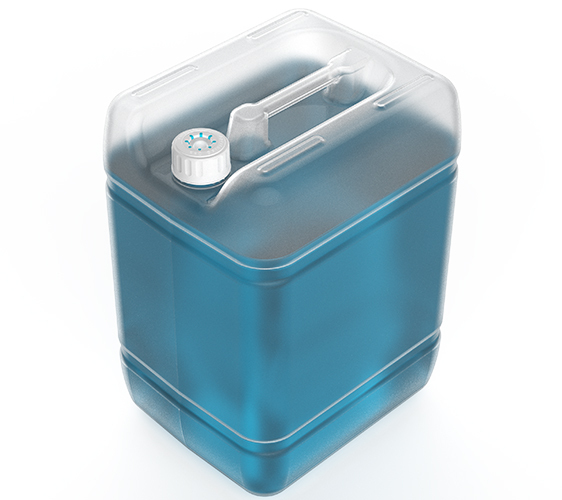 The SanServ® 5 Litre Jerry Can features the 38mm Irremovable Container Cap, adapted for the acceptance of a tube 6mm – 10mm OD from any peristaltic pump, dispensing or dosing device, ensuring the chemical contents from within the container are being utilized in the proper and controlled way and that misuse, pilferage contamination and waste are being prevented. 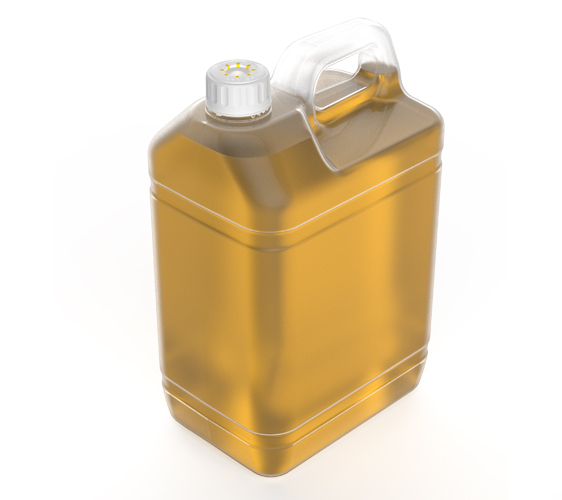 SanServ®’s 10 Litre Jerry Can features a robust carry handle; four location features allow units to stack securely. 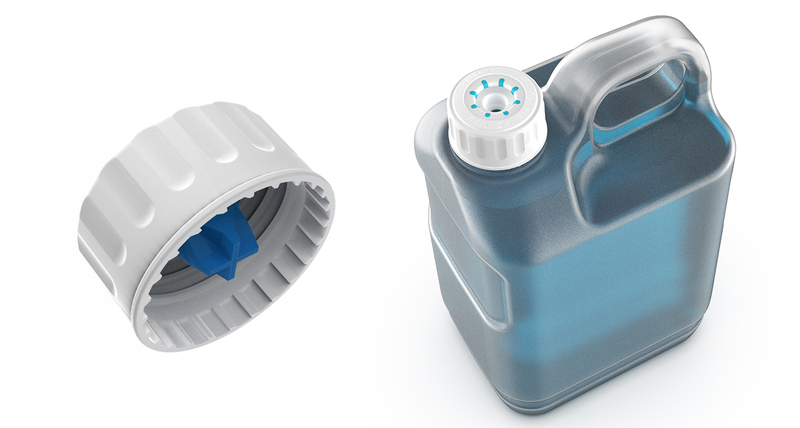 Using the 38mm Irremovable Container Cap, the 10L closed dispensing arrangement secures and controls the use of chemicals, providing safe performance in conjunction with reducing cost, a necessity for customers in any Industry. 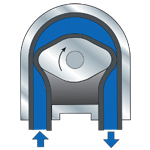 The containers feature a central depressed channel which both provides additional strength and resists potential warping after de-moulding; and a threaded one way toothed collar which corresponds with the Irremovable Cap. 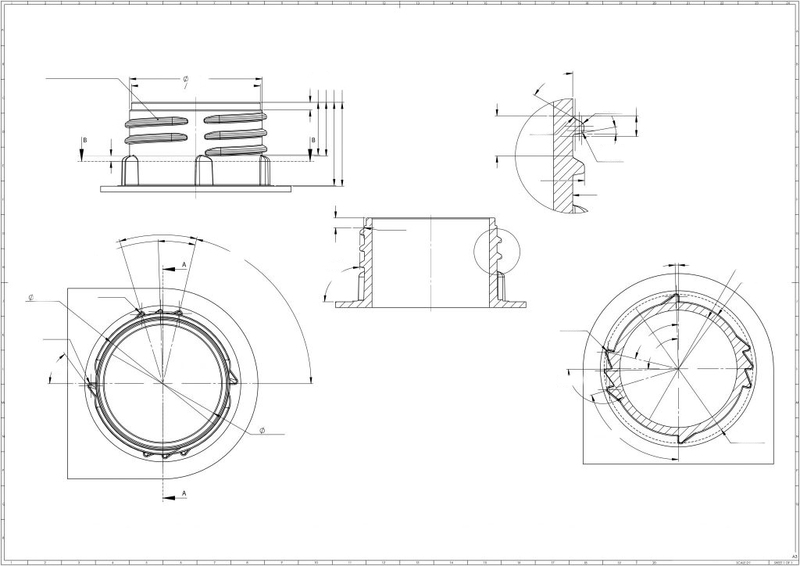 Production Moulds or 3D CAD Mould Data for 5L / 10L drums are supplied to nominated or existing container manufacturers/suppliers in any international jurisdiction, delivering our Jerry Can / Irremovable Cap combination, avoiding the intricate complexity that would otherwise be required to produce a closed Jerry Can container system.